Cantura St. Studio City, CA, originally uploaded by Here in Van Nuys. 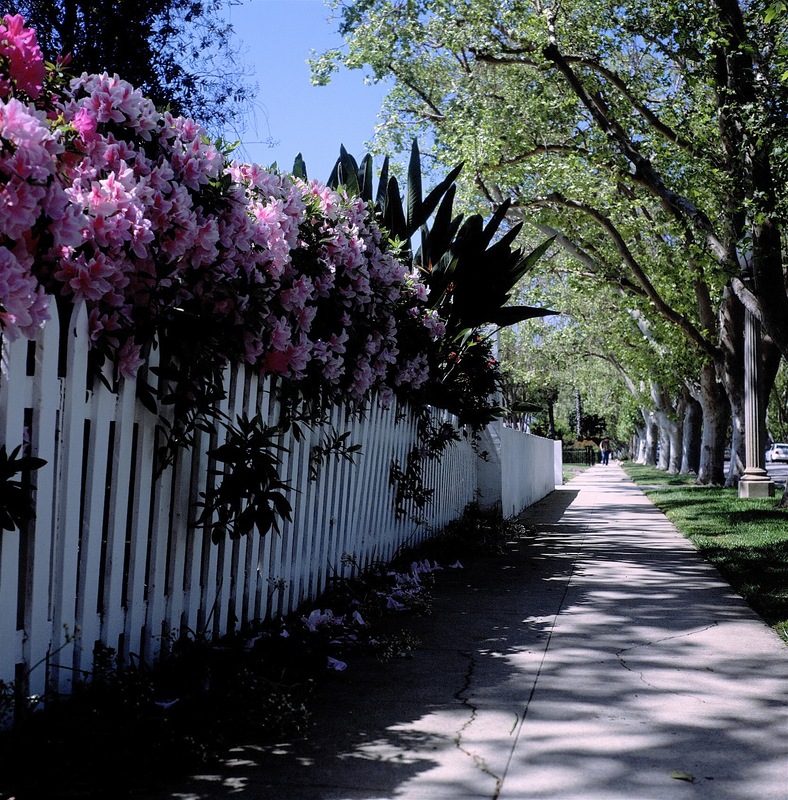 This is one of the most scenic and charming streets in Studio City, if not the entire SF Valley. Small houses, well tended gardens, a canopy of trees. Why could developers build like this 60 years ago, and today we have to endure Santa Clarita? First of all, beautiful shot. We love these things because we don’t see enough of them. Do you think the residents of this street know just how good they have it? That is a beautiful street. Some people a long time back were caring and thoughtful enough to plant these trees all along it. avn, parkways and street trees are not a result of over-watering. They are the result of goo planning and a little bit of civic pride. Why? Because developers make lots and lots of money on Santa Clarita developments, and not much on smaller-home developments, unless it’s attached housing (see Porter Ranch). But you knew that. Who knows, maybe 60 years of over-watering the landscape will make Santa Clarita look OK, too. i think some of them actually did build them this way, it’s what the tenants have done to ruin the integrity of the original design in some cases. I guess the McMansions haven’t started moving in there yet…. We’ve had three tear downs in Tujunga Village in the last month. ← Cinco Días en El Valle.